Hyderabadi Dum Biriyani is a world famous and well known Indian biriyani recipe. I had discovered my first plate of biriyani at Hyderabad only. But in my case, it took 2 years in Hyderabad to feel the taste. Initially I found this biriyani very spicy, and that time I just used to hate spicy food. But within 2 years in Hyderabad gradually my taste bud changed and one fine day I came across Bawarchi’s chicken biryani recipe And you don’t believe me, from that day till today I am feeling the same thirst for Biriyani. But unfortunately I can’t have Bawarchi’s chicken biryani for last 3 years, as I am in Kolkata now. But this situation forced me to learn the Hyderabadi dum biriyani recipe. First few attempts were no up to the mark, but after that it’s just getting better and better. My wife also appreciated this effort. Today on the eve of Laxmi Puja, I would like to share our most special recipe at home “Hyderabadi Dum Biriyani” in my style. I tried many biriyani recipes from YouTube and finally found my way of cooking. This Biriyani Preparation will be done in couple of steps. Let’s go ahead with our first step. Carefully and patiently collect all the spices before start. All masalas mentioned in Raw Masala part in a clothe piece again. Wash chicken pieces properly and take in a bowl. Now take all the Ingredients Part 1 Masalas in a pan and roast them in low flame. 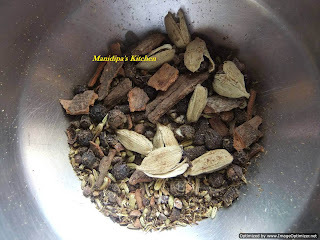 Check the aroma of masalas, don’t burn them. Now in a grinder make a powder from the masalas. 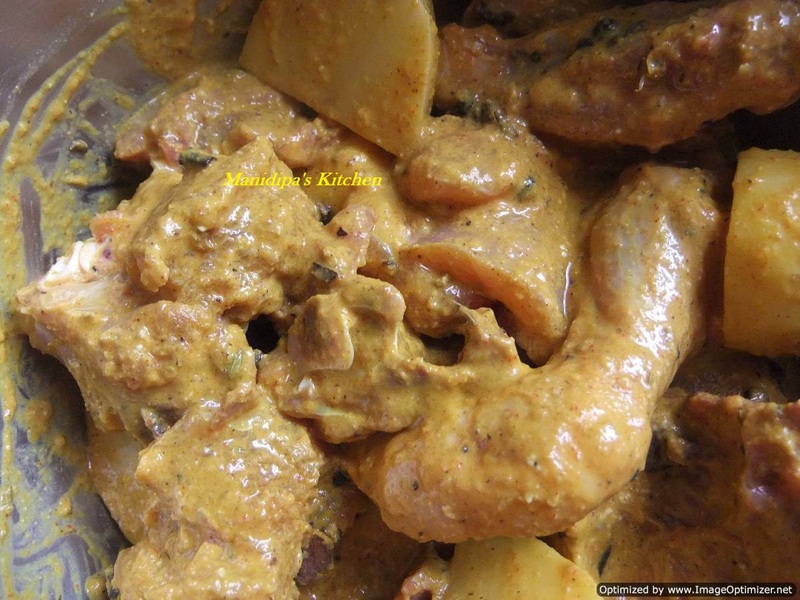 Put the masala powder into the chicken. Also add all the ingredients mentioned in Ingredients Part 1 section. Mix them all smoothly and homogeneously. Keep the marinated chicken in refrigerator for 4-5 hours. Now in a pan heat oil properly. Add all the chopped onions into it. Add little salt, turmeric powder and little chili powder. 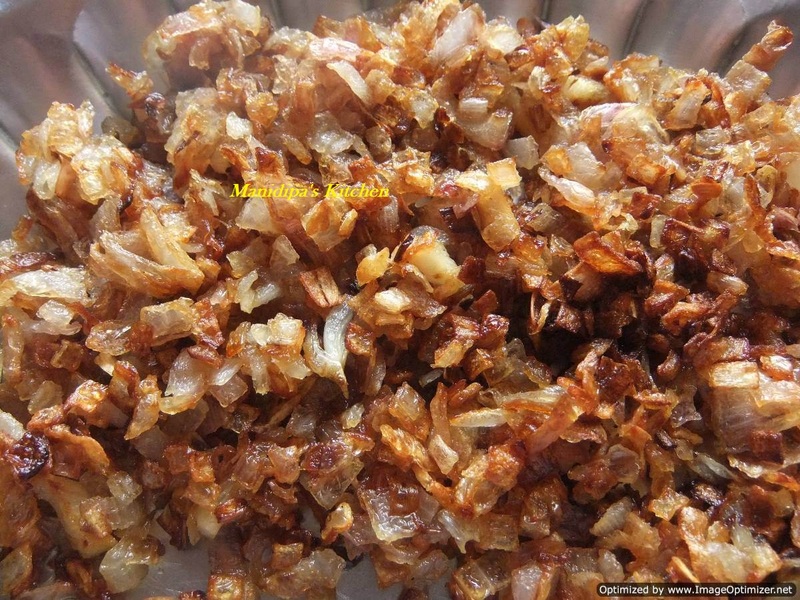 You can also deep fry the onions and use brown onion. I prefer to use fry them in less oil. By the time take out the marinated chicken. When the onions look golden brown, take them out. Now in the same pan add the marinated chicken. Add little water to the bowl and extract all spices from that and put into chicken. Cover the lid and cook the chicken for next 10 min. This way all the spices will mix with chicken pieces properly, but they will not be 100% cooked. That will be done in next step, DUM. Now in another big bowl add enough water, to boil the basmati rice. Add salt, oil, sugar to that water. 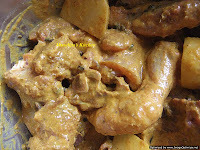 Also add Raw Masalas in a cloth piece into the water, so that aroma can be spread into water. When water starts boiling, add the already soaked rice into it. Now we have to be very careful, we will cook the rice till 3/4th done. Extract the water from rice properly. Now we are in our final step to set up the DUM. Here I have seen many people trying the traditional DUM style, making an Atta dough and seal the pan or kadai. 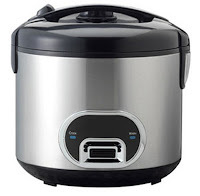 But I use electric rice cooker for that, which actually worked perfect for me in case of biriyani. 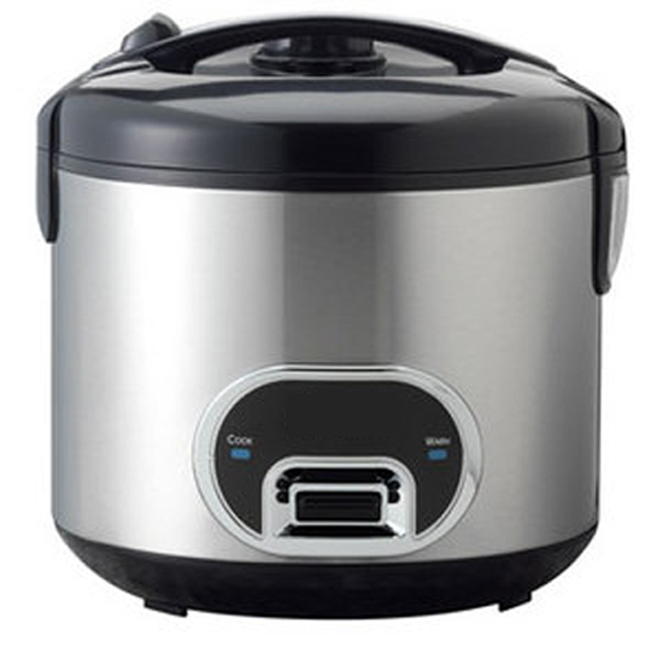 Take the deep vessel of electric rice cooker; put little oil on that first. Then goes your chicken with little bit gravy that we prepared. Now we have to make layers of rice. Put some fried onions and chopped mint leaves. Then make a layer of 3/4th boiled rice and also sprinkle little salt. Over the rice spread fried onions and chopped mint leaves. This way make 2-3 layers with rice, onion and chopped mint leaves. Finally on top, spread 2-3 chopped green chillies. Warm up the kesar soaked in milk and spread over it. Final touch, spread 3-4 tsp desi ghee over the rice. Now close the electric cooker and put on the power. Keep it like that for 20-25 min. Your hot Dum biriyani is ready. It just cooked more than perfect. Chicken pieces will be exactly soft with juicy touch. take some raita and onion rings and enjoy any specially …..like we used to celebrate. 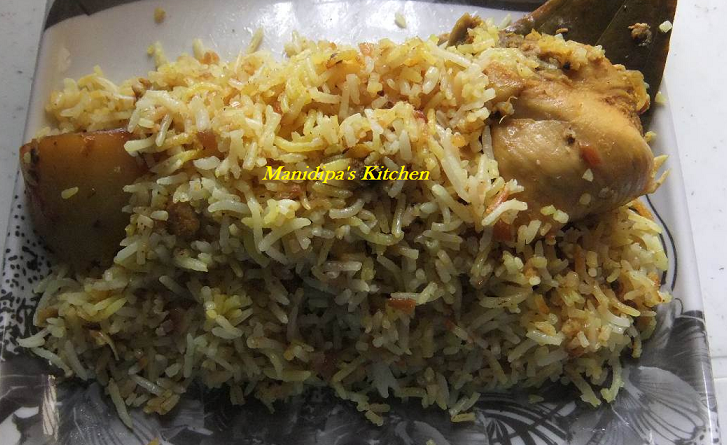 So, hyderabadi chicken dum Biriyani…..we actually miss you still, but found out a way now. You might also like to read other biriyani recipes.